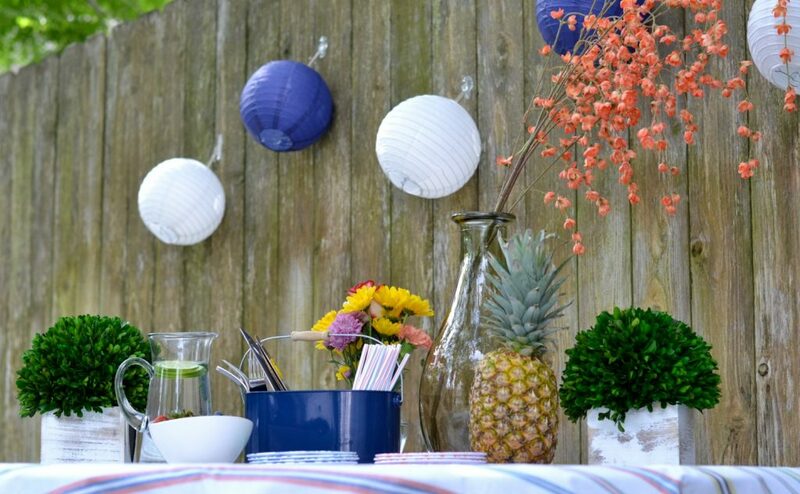 While I love the idea of summer BBQs, the reality of planning and hosting can be a little bit stressful. 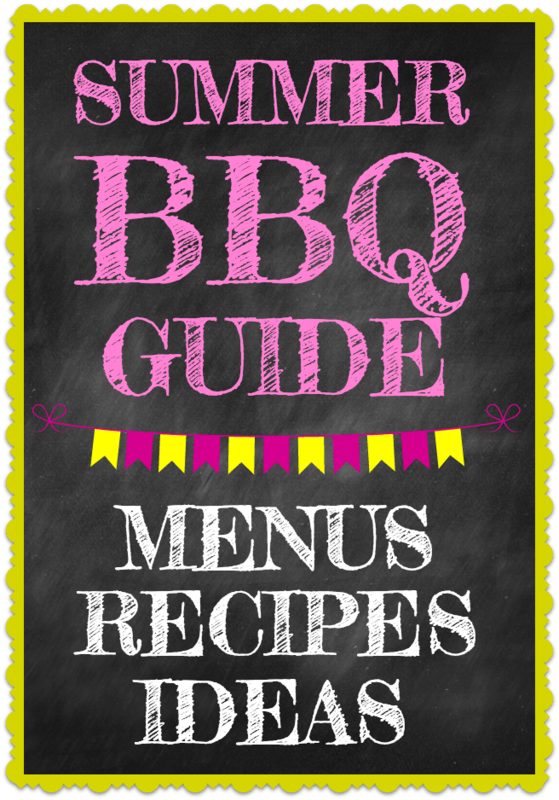 These easy BBQ menu ideas and recipes will help you host your BBQ in style and enjoy it, too! As summer approaches, my mind starts to drift toward lazy afternoons with neighborhood friends, the smell of charred burgers on the grill, kids throwing water balloons in the yard, and a cool drink in my hand. But then reality of party planning hits. Me: “Hey, we should have some people over to BBQ this weekend. 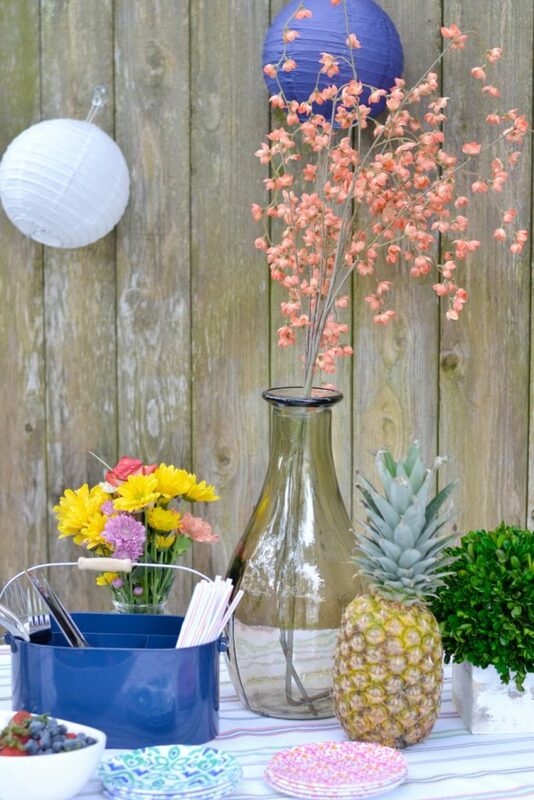 The thing is, a summer BBQ can be relaxing and super easy to put together if you PLAN AHEAD and you KEEP IT SIMPLE! I’ve put together a guide to planning a BBQ that will be completely delicious and guest-worthy, and also stress-free for you. The first part of planning a great backyard BBQ menu is making sure that the various dishes you serve are going to complement each other and be well balanced. 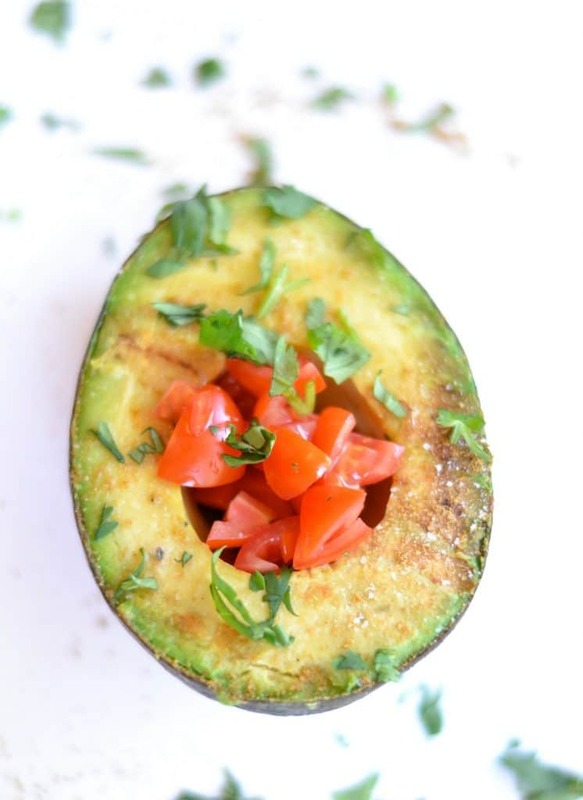 You want to avoid overloading on one ingredient (ie: fruit or cheese in multiple dishes) or serving conflicting cuisines (ie: Greek chicken skewers with a Mexican taco salad). I like to have a balance of light and hearty dishes so that everyone can be satisfied without feeling overstuffed. You don’t need to offer four or five side dishes to go with whatever you’re throwing on the grill, nor do you need eight varieties of chips and three desserts. It’s one thing if you’re hosting a huge potluck with tons of people, but if you’re having a basic BBQ with a handful of friends or family members, just keep it simple. When I refer to a “special drink,” it just means something other than water that’s a little bit fun and festive. It could be a signature adult beverage, or a kid-friendly homemade lemonade or fruit punch. 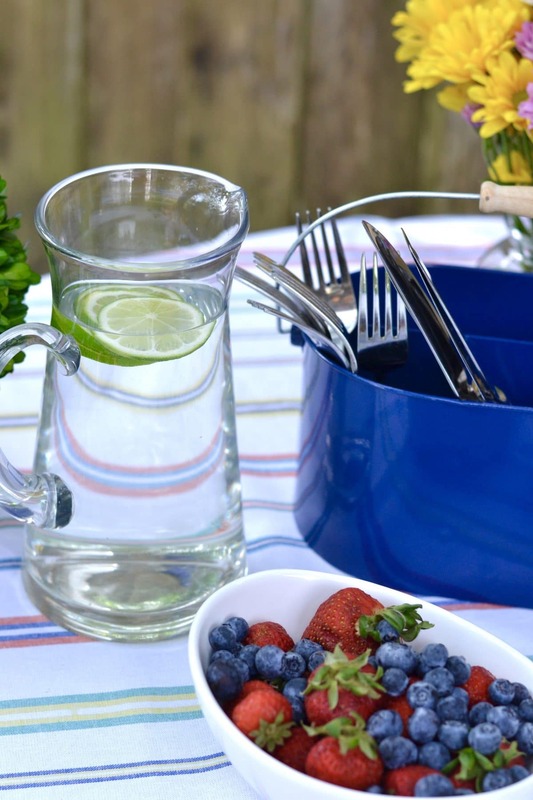 It’s an easy way to make your BBQ feel special without going overboard and spending tons of money on a huge assortment of beverages. It’s also important to make sure that you’re not biting off more than you can chew, or in this case, cook. On Wednesday night it might seem like a fantastic idea to make custom salmon burgers, homemade potato salad, from-scratch brownies, a signature cocktail, a 7-layer dip, and fruit kabobs. But if you commit to all of that that, you can guarantee you’ll be regretting it when BBQ day rolls around. And don’t be afraid to pass some of the work onto others! Planning your menu ahead makes outsourcing MUCH easier to do. In the past, I’ve been notorious for telling people not to bring anything over when I’m making a meal. But it was NOT because I didn’t want or need any help; it was because I didn’t have a menu plan in place and so I had no clue what to tell them to bring. Here are some sample menus I put together to help you guys out with your summer BBQ needs. And, since everybody’s tastes are different, I’ve also created a PRINTABLE MENU PLANNER which will help you to plan your menu, create a shopping list of the ingredients you’ll need, and make sure you don’t forget some of the most commonly needed extras for your BBQ, such as condiments, napkins, and ice. (We ALWAYS forget the ice). *My favorite way to make tropical iced tea is to combine unsweetened tea with tropical fruit juice. It’s so easy, and everybody loves it! I hope this can help take some of the stress out of BBQ planning. If you’re looking for more menu ideas or BBQ recipes, you can visit my Summer BBQ Recipes board on Pinterest for more inspiration. Remember, the whole point of entertaining is to gather together and enjoy good company, so don’t worry about every little detail. Just make some plans, light up the grill, and enjoy your people! My wife and I are having my bosses (Board of Education & spouses) over next weekend for a bbq and pool party. About 20 people total. Please offer me a great menu other than the typical hamburgers, hot dog, etc. In previous years we have had the hamburgers etc. one year we had a taco bar, and last year we had pulled pork and brisket. Any new ideas/thoughts? I love your menus. I always go overboard and got a good laugh at how you described all the things to do for a BBQ. Since I am having my family over for the 4th of July , you have inspired me to keep things simple and to enjoy the day.